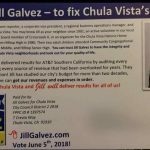 This committee is a Candidate Committee against Jill Galvez. The committee ID is 1397574. This entry was posted on May 18, 2018 by administrator.